The People’s Democratic Party (PDP) has said that President Muhammadu Buhari is frustrated over the successful outing of its presidential candidate, former Vice President Atiku Abubakar in the United States of America (USA). The PDP National Publicity Secretary, Kola Ologbondiyan, who stated this, on Friday, at a press briefing in Abuja, said that was why the Federal government had resorted to slinging mud at the former vice president. The PDP spokesman stated this in reaction to a statement by the Minister of Information and Culture, Lai Mohammed, that Atiku would be questioned over his alleged involvement in the collapse of Bank PHB, once he returned from his US trip. Ologbondiyan, who is also the Director of Media and Publicity, PDP Presidential Campaign Organisation (PPCO), said Atiku has no hand in the issues that led to the collapse of Bank PHB. 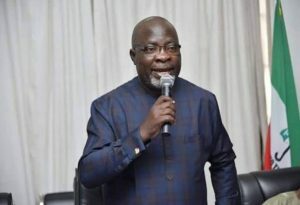 He stated that the presidency and the All Progressives Congress (APC) should know that Nigerians have seen through their lies, fabrications and frustration, noting that the plot against Atiku was dead on arrival. “The world already knows that this attempt at mud-sling our presidential candidate is coming out of President Buhari’s frustration over Atiku Abubakar’s successful outing in the United States, for which the Buhari presidency has gone into full hallucination. “While we understand that President Buhari and his dysfunctional All Progressives Congress (APC) are jittery over Atiku Abubakar’s soaring popularity ahead of the elections, it is reprehensible that Mr. President will descend abysmally low to fabricate outright lies and falsehood in a bid to discredit a more qualified and acceptable presidential candidate. “The PPCO makes bold to state that Atiku Abubakar has nothing to do with the alleged issues leading to the collapse of Bank PHB, but an honest and hardworking Nigerian who has no skeleton of any sort in his cupboard, unlike President Buhari, who is now entangled in a series of corruption allegations,” he stated. The opposition spokesman noted that even the Chairman of President Buhari’s Advisory Committee Against Corruption, Prof. Itse Sagay, had said that the presidency had searched everywhere and could not find anything incriminating against the former vice president. Ologbondiyan noted that “if anything, the PPCO will want President Buhari to open the books and provide an explanation for the N9 trillion stolen under his watch as Minister of Petroleum Resources as detailed in the leaked NNPC memo. 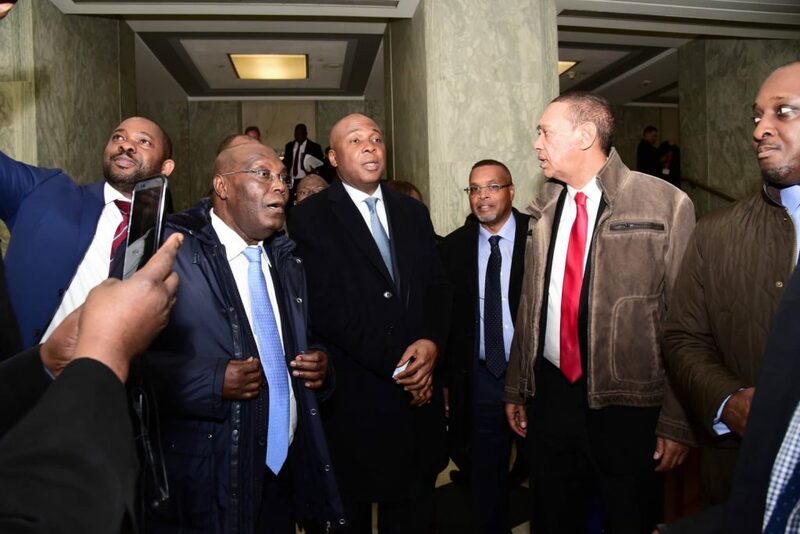 What sterling performance by Atiku in the US? And it appears that to kola and the PDP allocation to every project goes for APC theft. Nigerian politicians are really an interesting. breed. The Ologbondiyan’s and the oshiomehle. The former makes senseless issue of any event that emanates the ruling party while the later blunders away with shallow self-indicting effusions on the campaign pofium. The quality of speeches and discussions seems poor, unenlightening and irresponsible.